Brett is an associate organizational consultant with LEAD Vision, Inc. and manager of the non-profit Center for Ecological Culture, Inc. both of which are based on northeastern Ohio. He also serves as Sustainable Agriculture Program Coordinator and adjunct faculty teaching permaculture at the Lorain County (Ohio) Community College. His 24 years of professional experience includes 15 years as an international and environmental attorney with the National Oceanic and Atmospheric Administration, private law practice, administrative roles in several non-profit organizations, and work as a K-12 environmental educator and curriculum consultant. Brett earned his MA in Humanistic and Transpersonal Psychology at Saybrook University, with a certificate in Socially Engaged Spirituality. He is currently pursuing a Ph.D. in Organizational Systems at Saybrook. 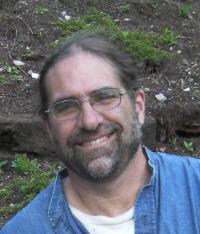 Brett is the Managing Editor of Rethinking Complexity.